FRESNO, Calif. (KFSN) -- According to a survey done by the California Farm Bureau Federation (CFBF), farmers and ranchers are having an increasingly hard time finding, and hiring, people who are willing and qualified to work in the Ag industry. 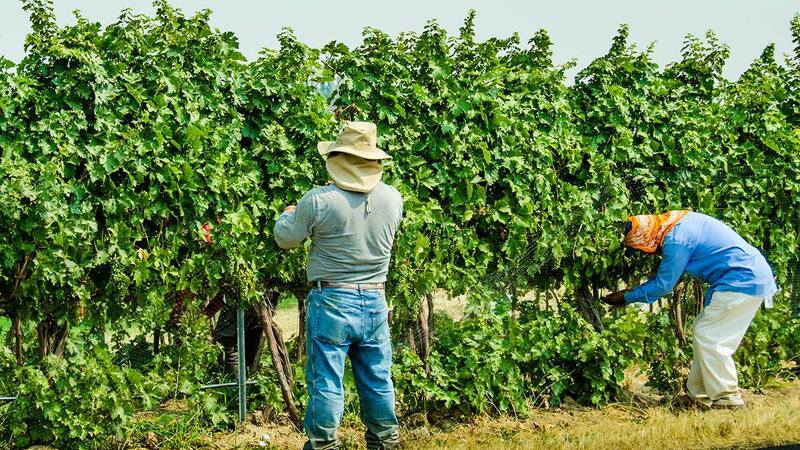 The survey conducted this summer showed that 55-percent of responding farmers had experienced employee shortages. Of those farmers who hire employees on a seasonal basis, 69-percent reported shortages of varying degrees. According to CFBF 762 farmers and ranchers throughout California responded to the survey. Officials say the results are consistent with a survey conducted by the CFBF in 2012 in which over half of those who responded reported shortages. CFBF said that these results show that despite increasing wages, benefits, and converting to less labor intensive crops, among other changes, California farm employers continue to struggle to hire. Officials said farm employers continue to alter their production practices in response to the shortage.